Newmont Mining expects to produce 5.2-million ounces of gold in 2019, and 4.9-million ounces in 2020, the US-based miner reported on Thursday. The updated guidance is at the midpoint of its previous range of 4.9-million ounces to 5.4-million ounces for 2019. In the longer term, production is expected to remain stable at between 4.4-million ounces and 4.9-million ounces a year, through to 2023. This excludes development projects that have yet to be approved. 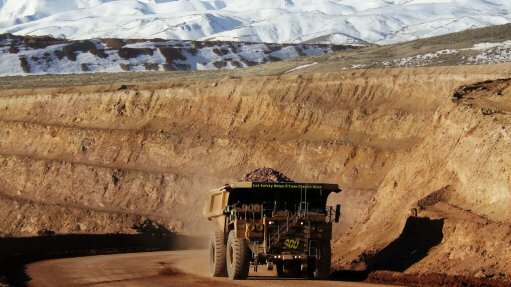 Most of Newmont’s production comes from its North American mines, which are forecast to produce 1.9-million ounces a year for the next three years. In Australia, the group will produce 1.5-million ounces in 2019 and 2020, followed by an increase to 1.6-million ounces in 2021, as the Boddington mine accesses higher grade ore. The African mines are expected to produce 1.1-million ounces next year, helped by a full-year of production from the Subika underground mine, higher grades from the Subika openpit and improved mill throughput in the second half of the year with the mill expansion. Commercial production at the Subika underground mine, in Ghana, was declared at the end of November. Production from the African region will fall to 930 000 oz in 2020, before picking up to one-million ounces in 2021. The group expects to produce 650 000 oz from its South American mines next year, but this will decrease to 560 000 oz in 2020 and 450 000 oz in 2021, as the Tapado Oeste pit and Yanacocha laybacks, in Peru, are mined out and the Merian mine, in Suriname, transitions from saprolite to hard rock. Newmont’s all-in sustaining costs (AISC) for 2019 are $935/oz and for 2020 are $975/oz. In the longer term, AISC should be between $875/oz and $975/oz. Its total consolidated capital guidance for 2019 is $1.07-billion and $730-million in 2020. Development capital includes the Ahafo mill expansion in Africa, Tanami Power in Australia and Quecher Main in South America, as well as expenditures to advance studies for future projects. Sustaining capital guidance is $680-million for 2019 and $660-million for 2020.